Like every huge capital, Moscow has some buildings that seem (or seemed) to remain unfinished forever. 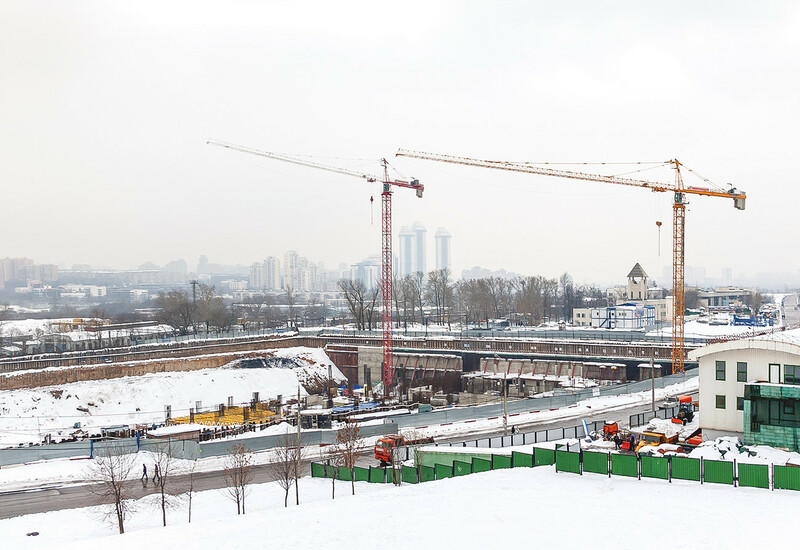 A giant blue business center, the biggest aquarium in Eastern Europe, a gloomy TV center… people have become accustomed to these unfinished projects. A foundation pit surely looks impressive - by now, however, it's all you can see on this ambitious construction site. In 2018, Muscovites were quite surprised to find a new reservoir, basically a small lake, in the city center – at least according to Yandex.Maps app. The algorithm mistook a giant water-filled foundation pit near Paveletsky railway station for a lake, which after heavy rains, had turned into a muddy reservoir. The wannabe-lake had been around for a while. 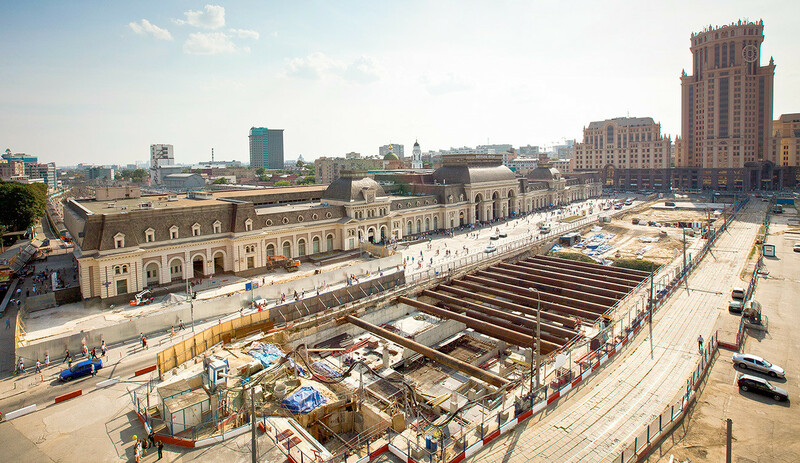 Ten years before, Kazakh businessman, Mukhtar Ablyazov, started an ambitious project, buying land near the railway station to build a giant underground mall. The scheme swiftly ran into problems when Ablyazov faced a criminal prosecution and lay dormant for a decade. “It’s a big issue that one of the city’s main squares is in such pitiful condition,” said Moscow’s chief architect Sergei Kuznetsov, speaking in 2017. Now, after all legal questions have been resolved, new owners of the project are expected to finish the mall by late 2020. Perhaps Lake Paveletskaya will disappear from the city’s map for good. Another of Mukhtar Ablyazov’s gigantic and ambitious projects involved constructing Eastern Europe’s biggest aquarium (plus a hotel) on Poklonnaya Hill in western Moscow. This also went down the drain after Ablyazov faced criminal charges, leaving only around 10 percent of the project completed. At the same time, the financial crisis of 2008 hit, so it was too expensive for developers to buy the project out. After a decade of legal battles, a new developer acquired the project and in late 2018 city authorities approved construction of the oceanarium, but the hotel will be replaced with a residential complex. The most important thing is that there will still be plenty of sharks and other fish in the public aquarium. The Zenith business center before the reconstruction began. It was quite a landmark, though an ugly one. 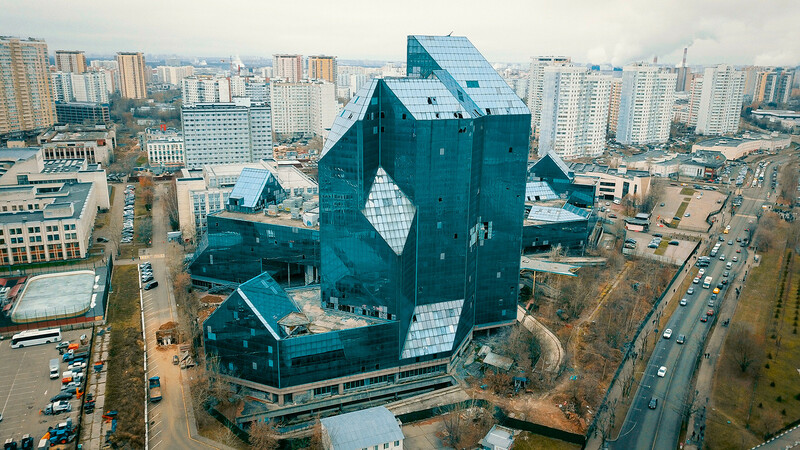 A giant blue crystal that dominates a whole south-western Moscow neighborhood, the 22-storey building of the Zenith business center is as old as the modern, post-Soviet, Russian state. According to the original 1989 project, the center was the property of the Academy of National Economy: its president Abel Aganbegyan launched a joint venture with an Italian company, Valany International. As often happens, the original plan didn’t work out: in 1994, when the building was 80 percent ready, the Italian government arrested Valany International’s entire senior management team and put them behind bars on corruption and mafia-related charges. The Zenith project hit the pause button – for 25 years. 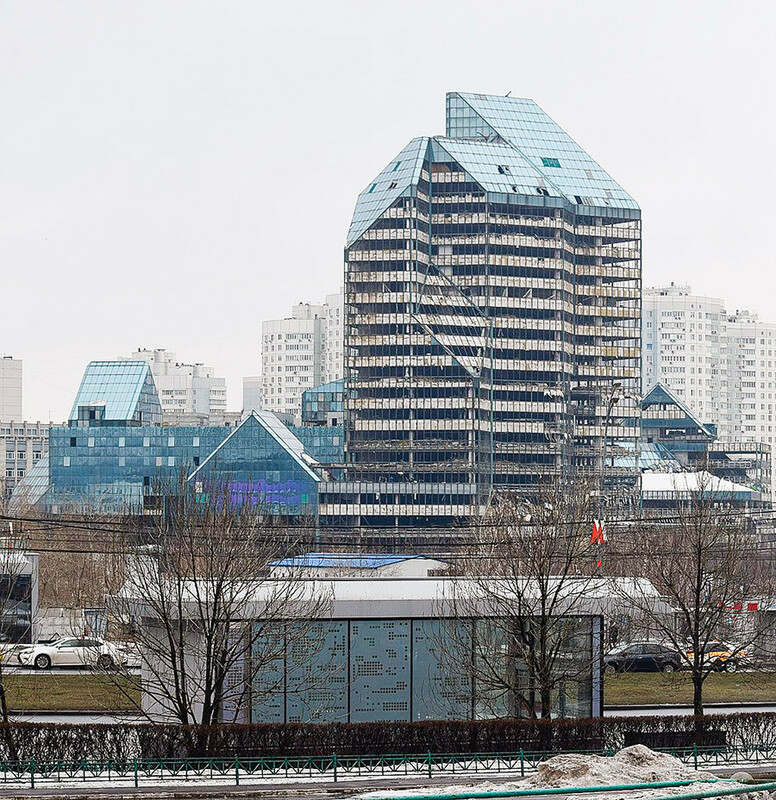 Ever since, the ugly unfinished skyscraper, its interior full of piles of rusting garbage, has been a Moscow landmark. It has also been subject to endless legal and financial battles; both finishing construction or demolishing it being deemed too expensive. Meanwhile, adventure-seekers spared no effort trying to get in to the “Blue Tooth”, (its popular nickname); in 2008 a young man died after falling down an elevator shaft. Slowly, the retro-reflective mirrors that form the building’s façade were fracturing, and with it the “Blue Tooth” grew less and less picturesque, a symbol of glorious decay. Reconstruction goes on (March 2019). Finally, in 2016 Moscow city government decided to finish the project by 2021, investing 8.7 billion rubles ($132 million). As of now, the building - with almost all its mirrors removed - looks like a skeleton, but there’s hope it will get better. That's how that almost ancient building on the Shabolovka street looks like. The record-breaking champion of Moscow’s unfinished construction projects in terms of time – only the infamous Khovrino hospital, where ground was broken in 1980 and its uncompleted shell torn down in 2018, was older – Shabolovka Street’s TV Center in southern Moscow is a 14-storey high, gloomy Soviet style building. Begun in the 1980s, it was almost finished when the government ran out of money and construction stopped. At first, the Soviet state meant to give the building to the Military Space Force but in the 1990s decided to turn it into a TV center as it sits adjacent to an earlier television center. That did nothing to solve all the money and property issues, though. 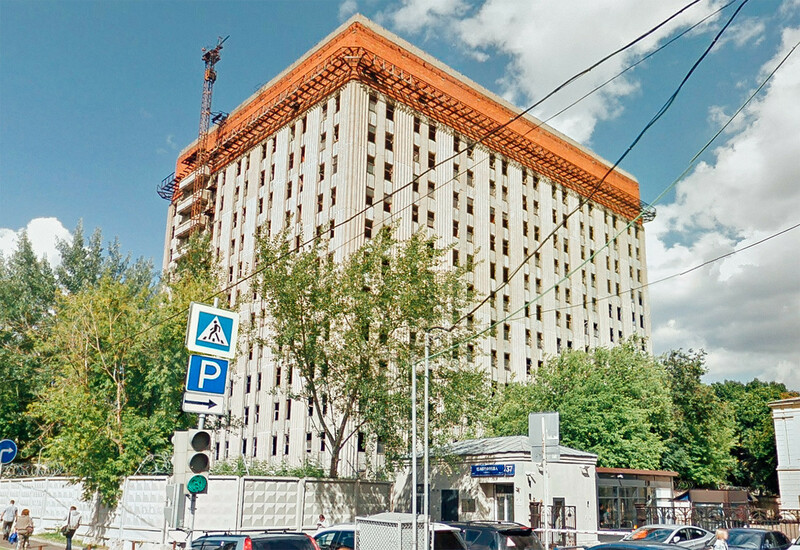 Legally the building now belongs to the All-Russia State Television and Radio Broadcasting Company (VGTRK) but it remains unfinished. “There’s nothing to do here, except for the roof – the view is spectacular!” users used to write on squatters forums – they loved getting inside and exploring the garbage-filled, empty floors. Today security is stricter, so it’s hard to get in. Otherwise, the situation has not changed much. Construction can be renewed after VGTRK solves all the questions with the property, but it remains unclear when that will happen.